Companies like Shuanghui and Bright Food funded overseas acquisitions with aggressive leverage. The next step is to refinance by listing subsidiaries on the stock market. Enthusiastic demand for Chinese consumer stocks makes flipping recent purchases all the more attractive. 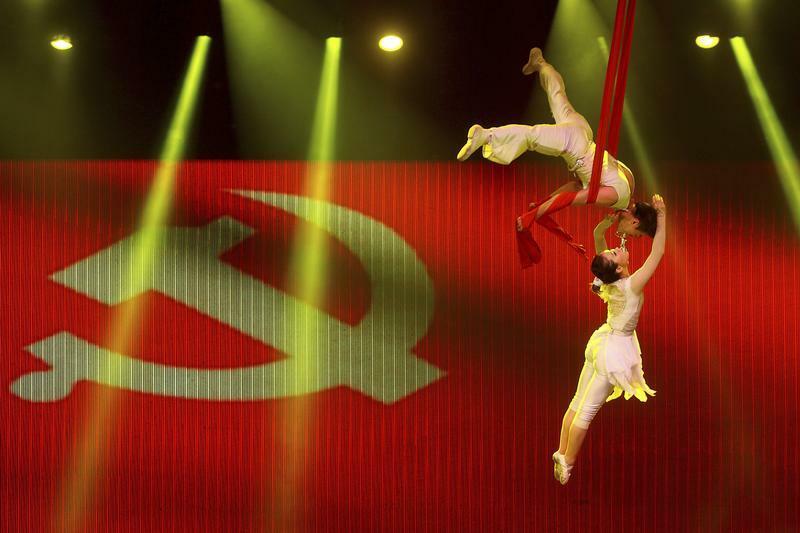 Acrobats perform in front of an electronic board showing the emblem for the Chinese Communist Party (CPC) during an event celebrating the 18th National Congress of the Communist Party of China in Hangzhou, Zhejiang province October 19, 2012. China’s state-controlled Bright Food Group said on Nov. 25 that it is planning an initial public offering of its recently acquired UK breakfast cereal maker Weetabix and Australia’s Manassen Foods along with other foreign assets it has acquired over the past few years. Bright Food said there was no timetable for the listings which could take place in Hong Kong or London. “When we acquired these assets, we already had plans for them to list overseas,” company spokesman Pan Jianjun said. Bright Food in May 2012 bought 60 percent of Weetabix, valuing the company at 1.2 billion pounds ($1.9 billion). The deal included a clause allowing Bright Food to acquire full ownership within two years. The Chinese company bought 51 percent of privately-owned New Zealand dairy company Synlait in 2011 for NZ$82 million ($67.8 million) and floated it in July 2013. Synlait has a current market capitalization of NZ$556 million. “With overseas capital, Weetabix’s overall development can be accelerated. Meanwhile, our financial risks can be diluted” Pan said, adding that Synlait was the first successful IPO of an overseas company acquired by a Chinese company. Bright Food bought 75 percent of Manassen in August 2011 valuing the company at A$530 million ($556 million). Bright Food could acquire Israeli food group Tnuva in the first quarter of calendar 2014, according to bankers familiar with the transaction. China’s Shuanghui International Holdings has hired six banks for a Hong Kong IPO. The news was first reported by IFR, a Thomson Reuters publication. In September, Shuanghui completed its $4.7 billion acquisition of U.S. pork producer Smithfield Foods.